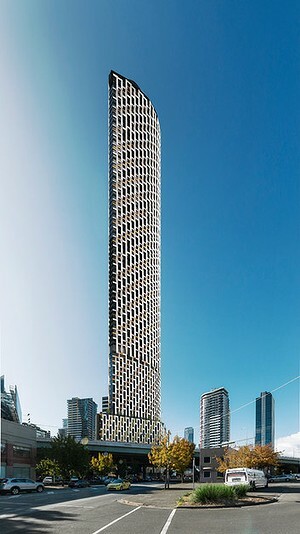 Proposal for 82 level Residential/Hotel building @ 334-344 City Road Southbank, directly opposite the West Gate Freeway. Location of site in google streetview, currently a packbackers. 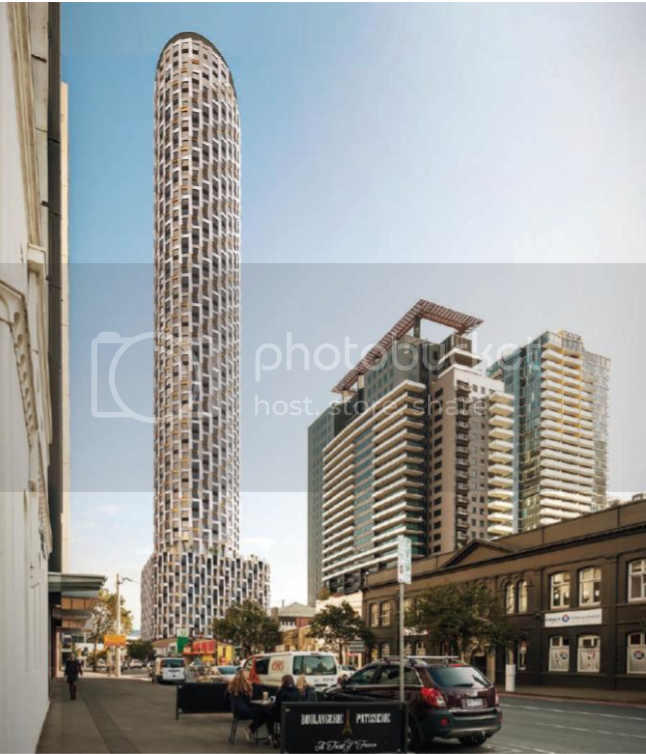 A company connected to BRW rich lister Giuseppe “Joe” Catalfamo who owns Tasman Market Fresh Meats, a discount butcher employing 420 people across Victoria, has submitted plans to the state government for the high-rise. The concrete and metal clad elliptical building at 334 City Road will dominate its corner location between the freeway and Clarendon Street behind the Melbourne Convention Centre. The $200 million structure will contain 578 apartments, the majority two- or three-bedroom units. It will also house a 198-room hotel, 154 car spaces and 119 square metres of retail space on the ground floor. The new 81-storey building in City Road has been designed by Hayball architects. I think I like it? hrrm, would love to know if that's metal or precast externally? Probably pre-cast. If that was steel, would look pretty awesome though. Also, another hotel!? How many proposed are we up to now lol? Be interesting to see how many actually do get up. I'm somewhat indifferent to it. 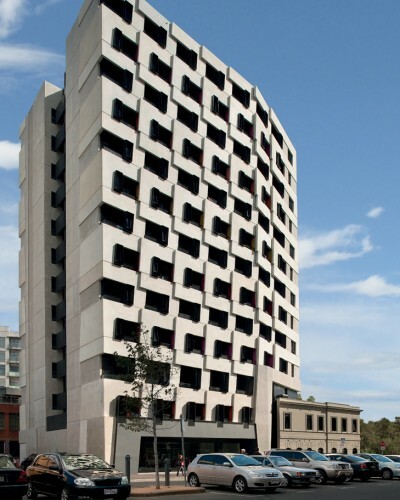 I like the the Swanston Street building above, a true brutalist gem amongst a lot of very ordinary buildings in Carlton. I have a feeling that the Southbank building will be just as good! ^^ Nice, I like it! Wow! I think this is a fabulous design. Especially like the tear-drop shape of the tower. The articulated facade modules look very appealing. If you are apply a predominantly precast concrete facade solution this is the way to do it. I think it continues a very Melbourne theme at the moment with Elenberg Frasers articulated glass treatments complimenting this design approach nicely. Well done Hayball. Absolutely love it! Build it now! I didn't like this one at first but it has grown on me. The canopy at the bottom is an impressive feature. The larger renders and floorplans actually show us some details, I was skeptical based on the render in the original post, but I think I love this one. And still not supported by CoM. Such a shame the MCC now appearing to be scaring developers into downsizing their plans before the planning minister even makes a decision (unless the developers are getting wind from ministry that it won't be approved for the same reasons). Who says they don't have any power in planning decisions ? First Savoy now this - two bold and exciting designs cut down while Central Equity continue to get away with poisoning our city (Australis being latest example). Strike 1 & 2 of the new government order ..
Two soaring skyscrapers proposed for Southbank will mark the first test of the Andrews government's pledge to end what it labelled in opposition the "forests of towers" approved by its predecessors. 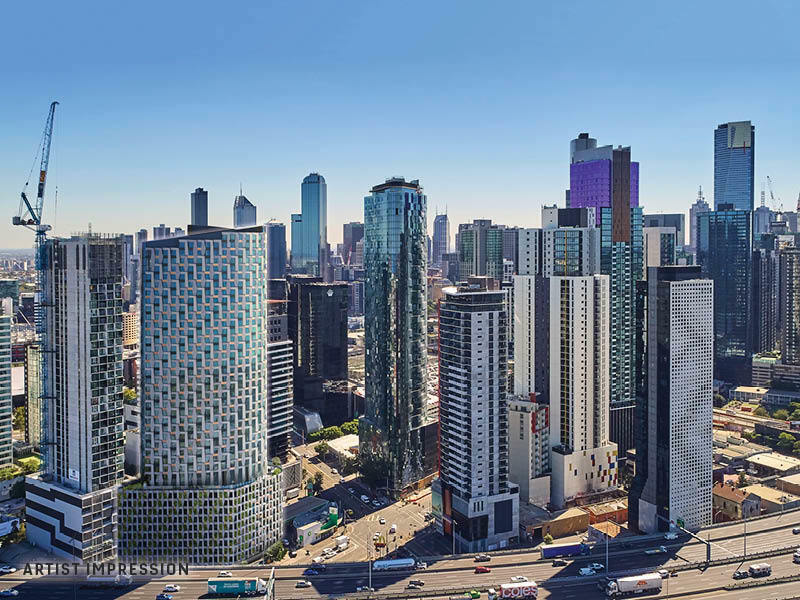 The two towers will go before Melbourne City Council on Tuesday, and its officers have objected to both proposals – which will ultimately be decided on by the Planning Minister. The council's planning and finance chairs both want the more contentious of the towers in City Road, which would be 57 storeys high, knocked back. This tower would overlook the West Gate Freeway, and would see the existing Eve nightclub and Urban Central backpackers demolished. 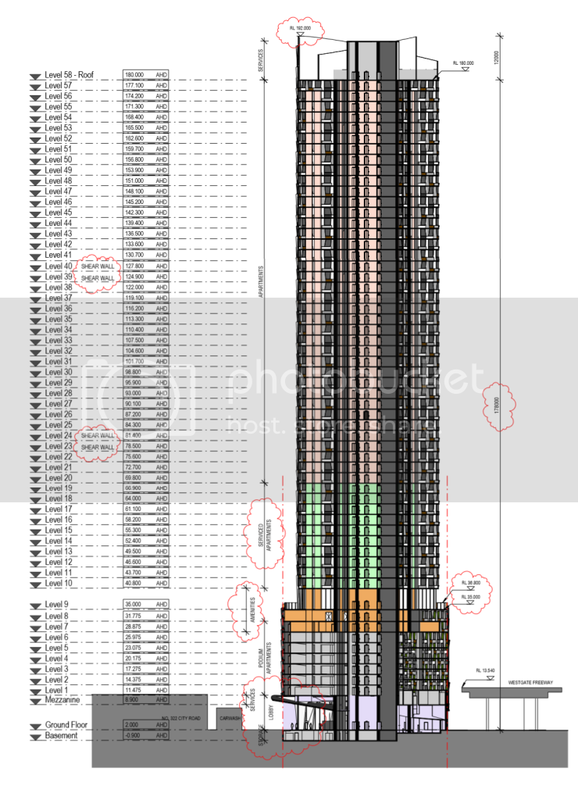 The skyscraper would have 432 apartments – all but 10 of them one and two-bedroom units. Where do all these places they demolish end up? It seems pubs, nightlife and other places that make Melbourne usable are vanishing. What's the latest on this development?